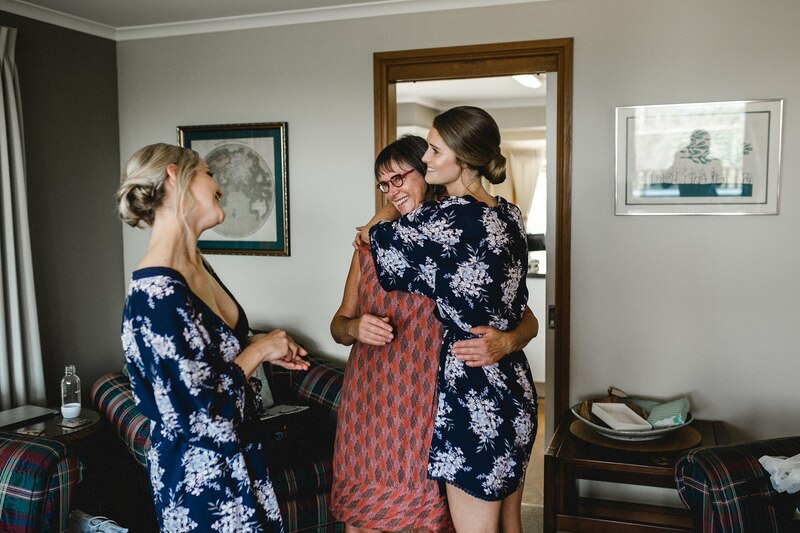 For anyone who has ever been nervous on their first day of university, don’t be, be excited, you may just meet your future husband. 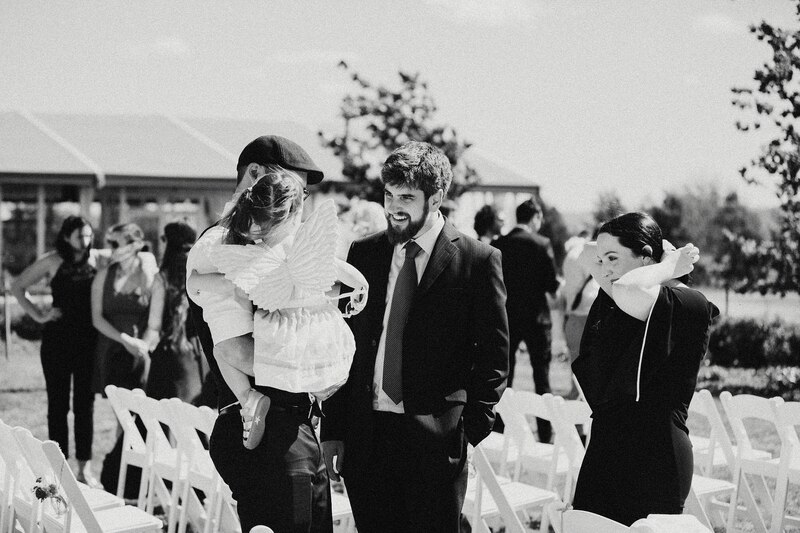 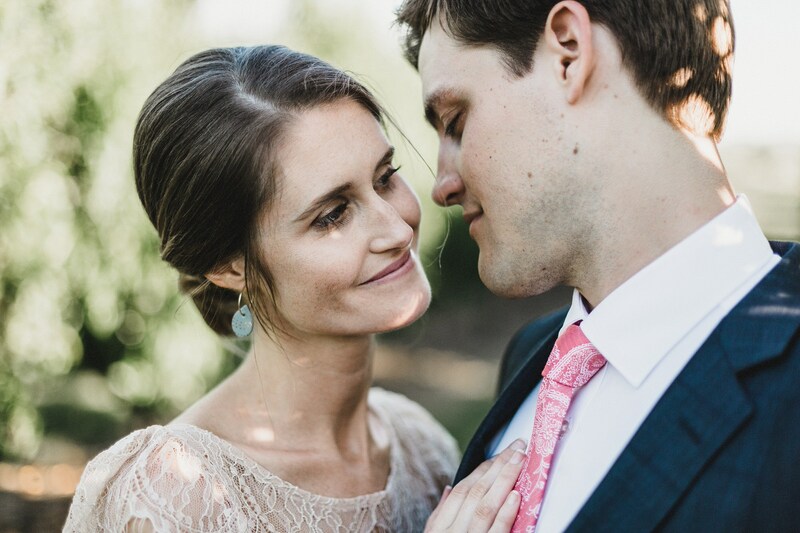 Hannah and Gabriel met in the line at the ANU Bookstore and when Hannah realised she has forgotten a book she turned and asked her husband-to-be Gabriel to hold her place, which he did in his heart forever. 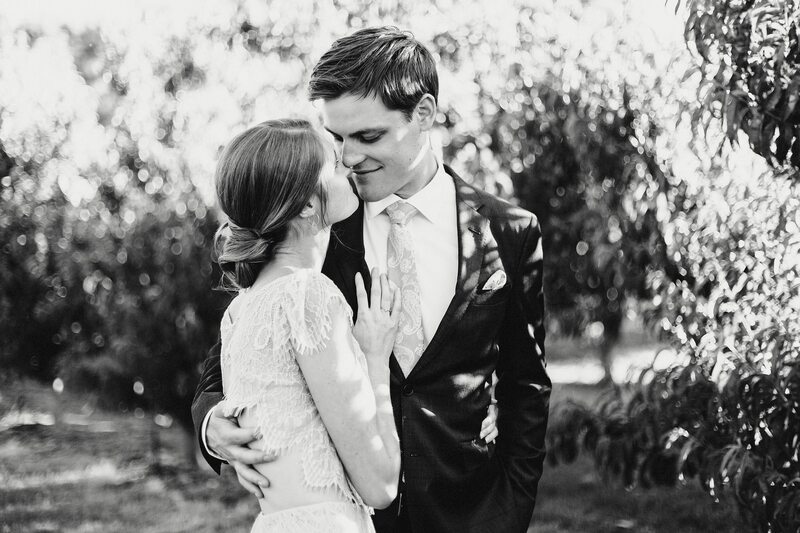 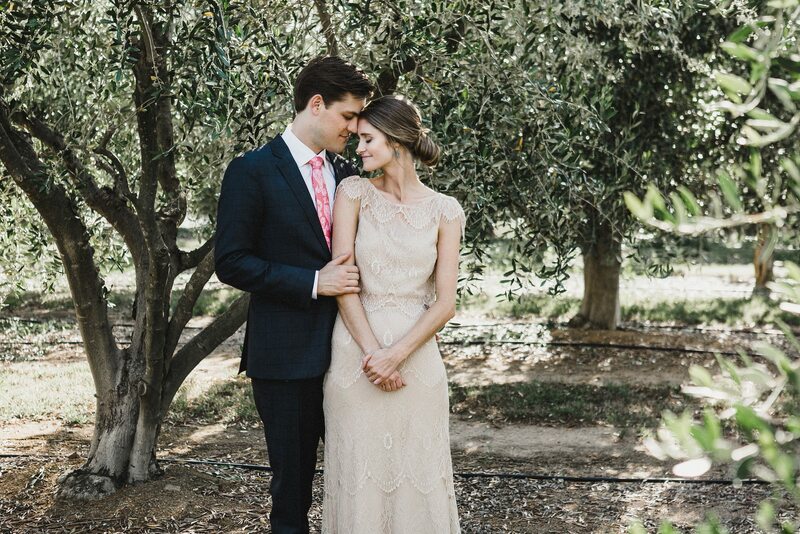 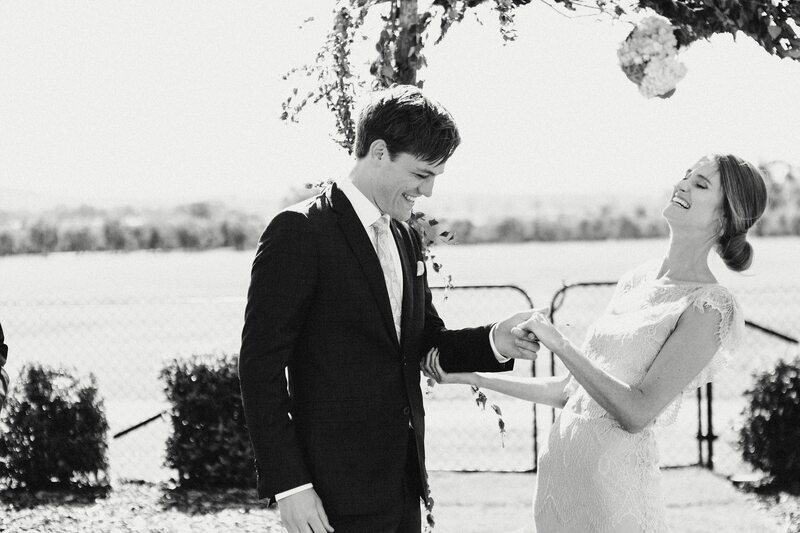 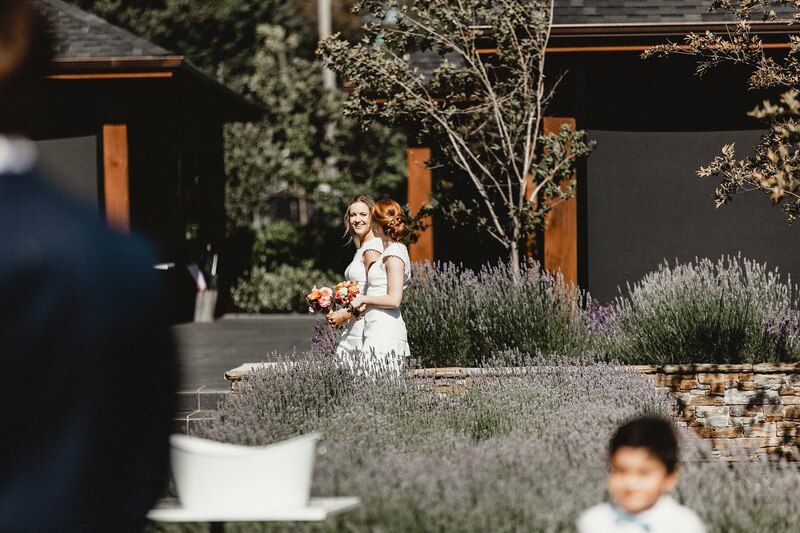 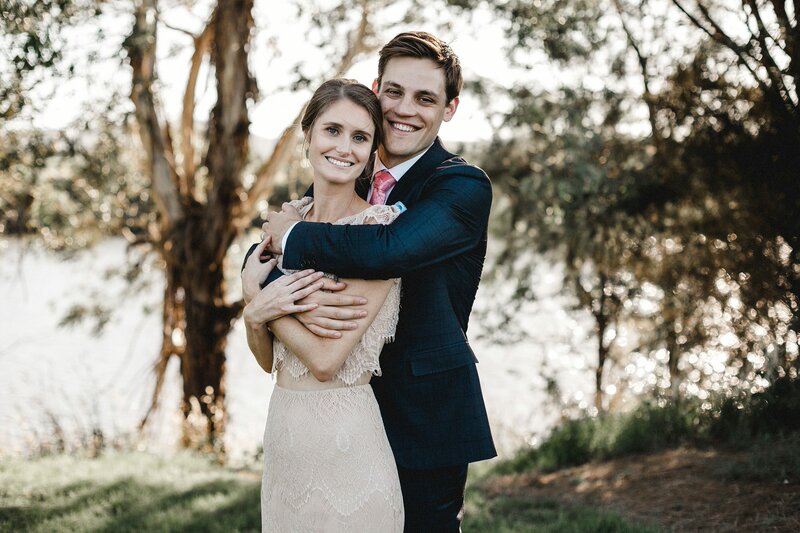 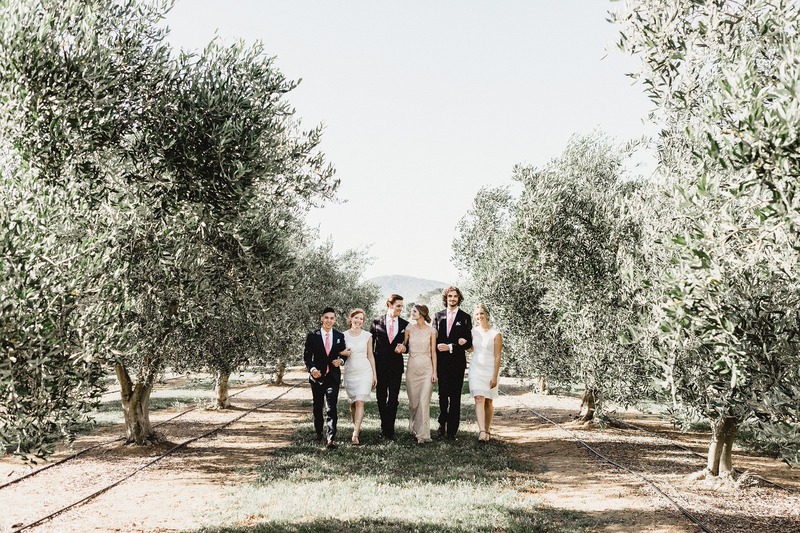 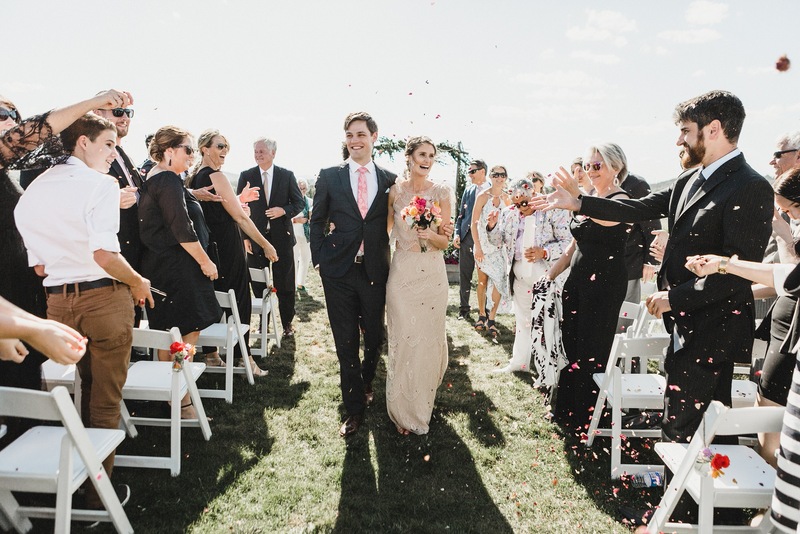 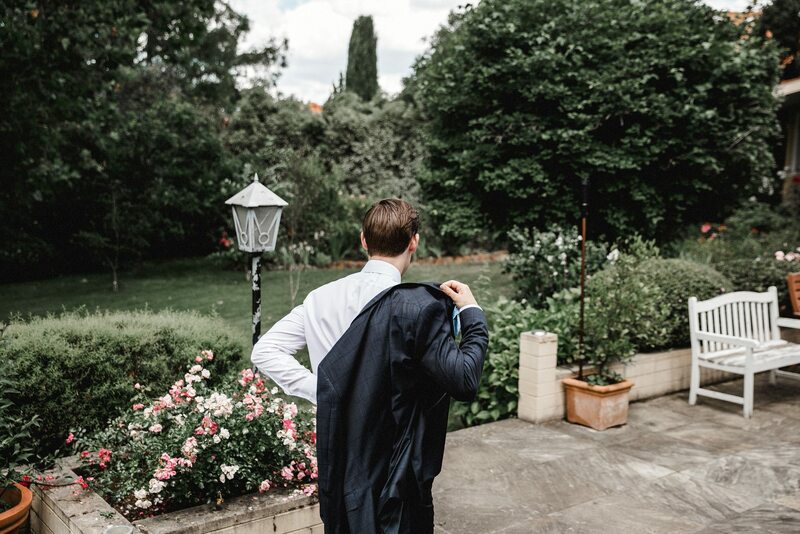 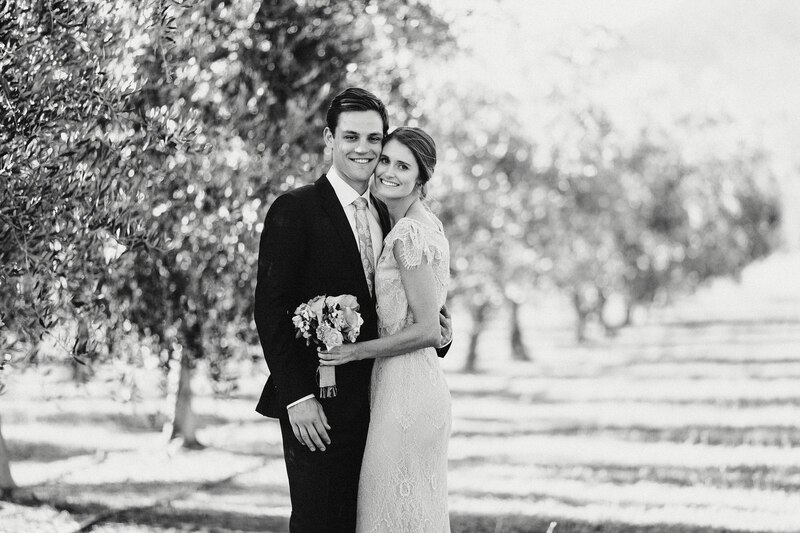 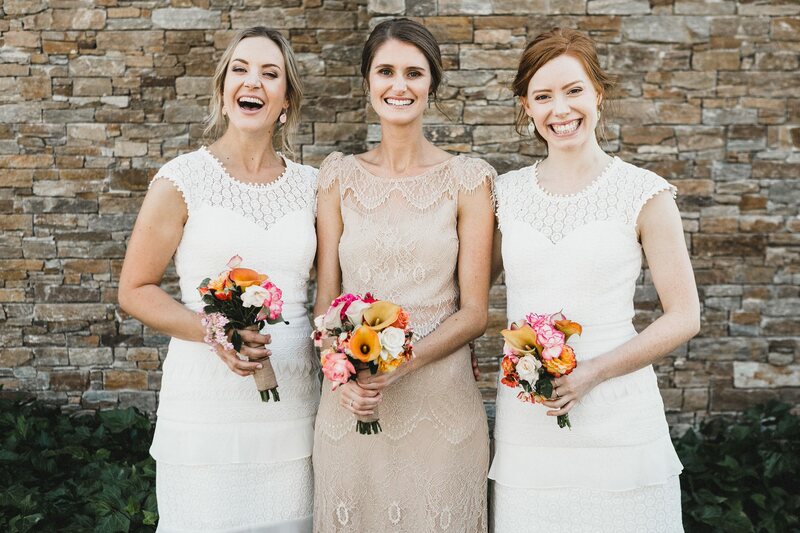 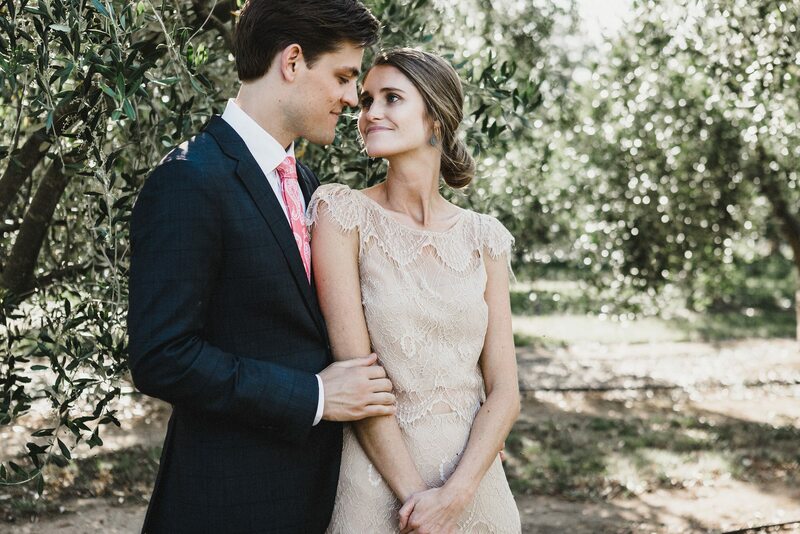 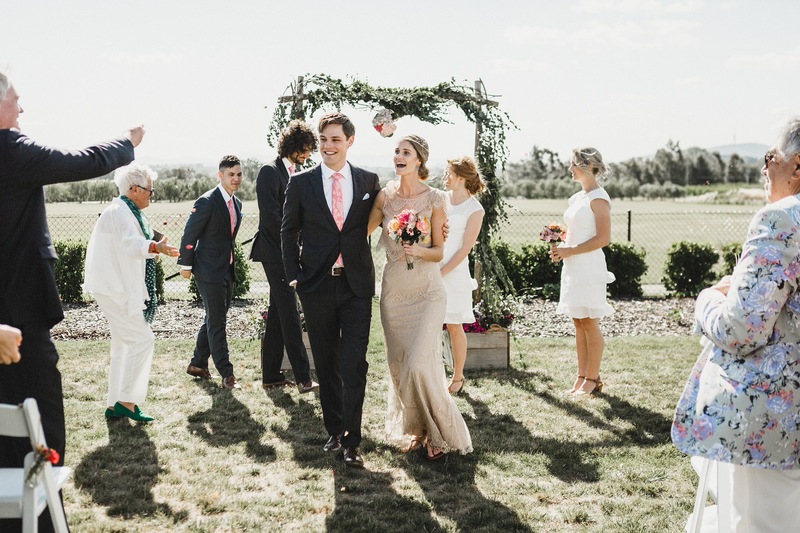 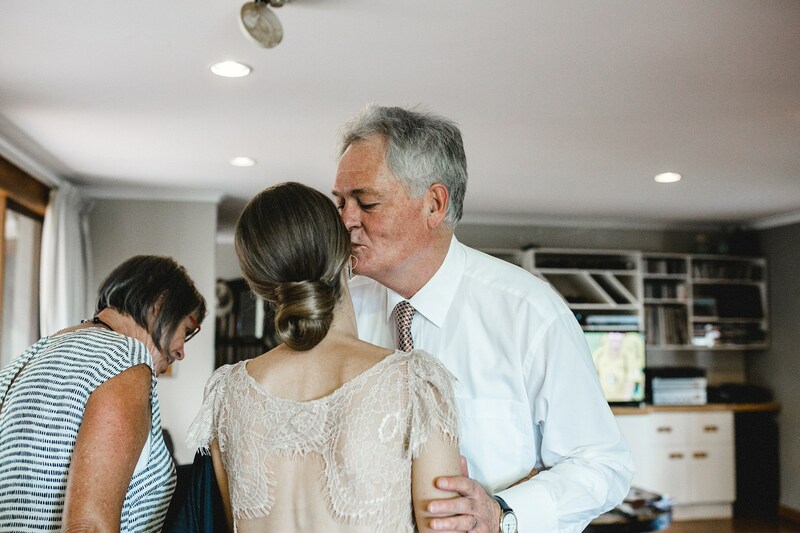 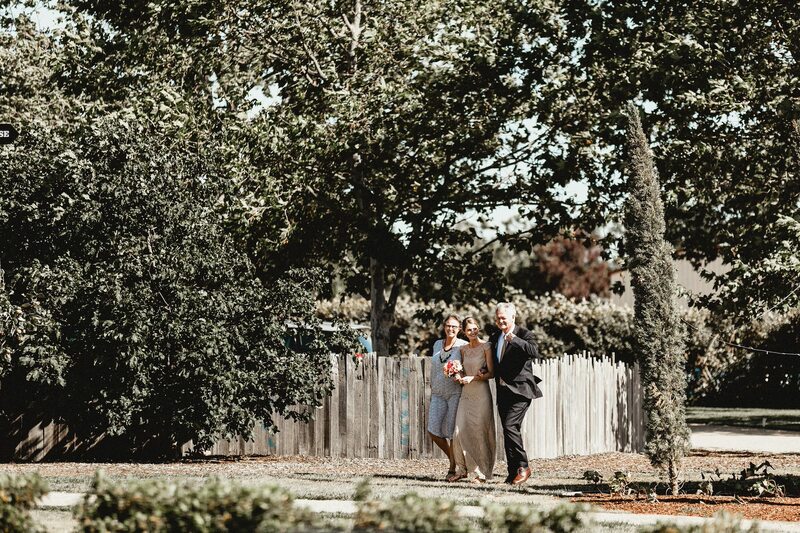 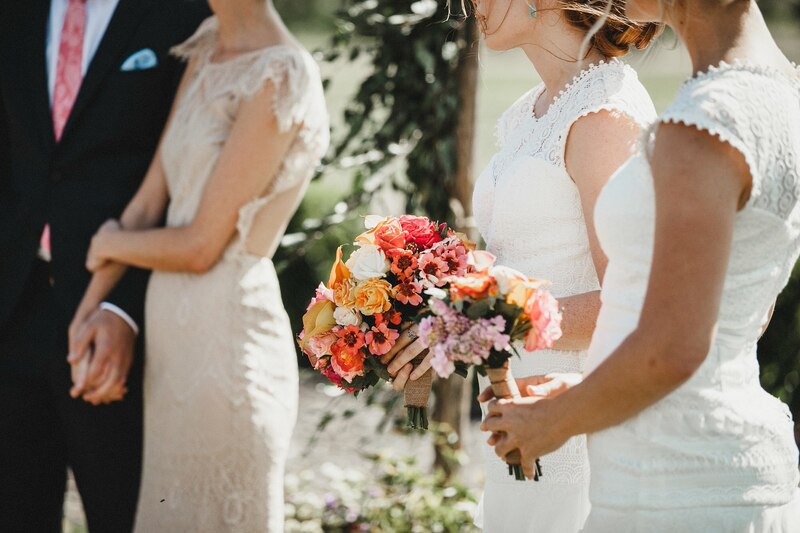 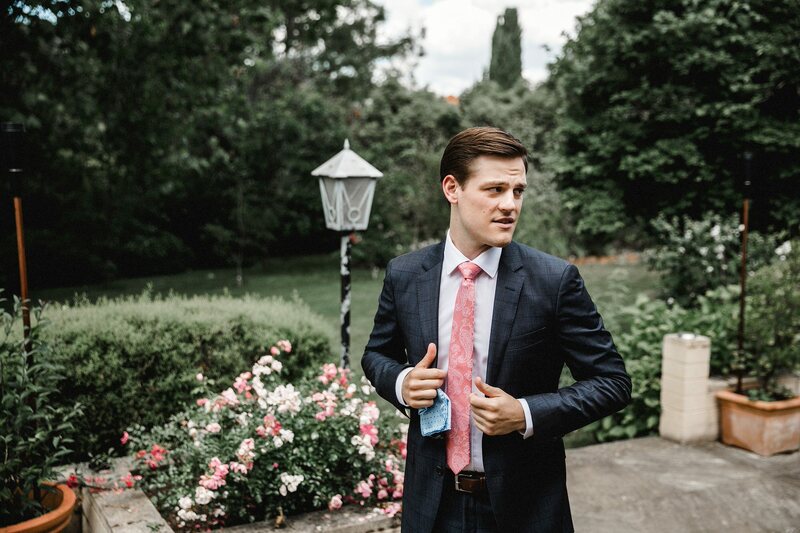 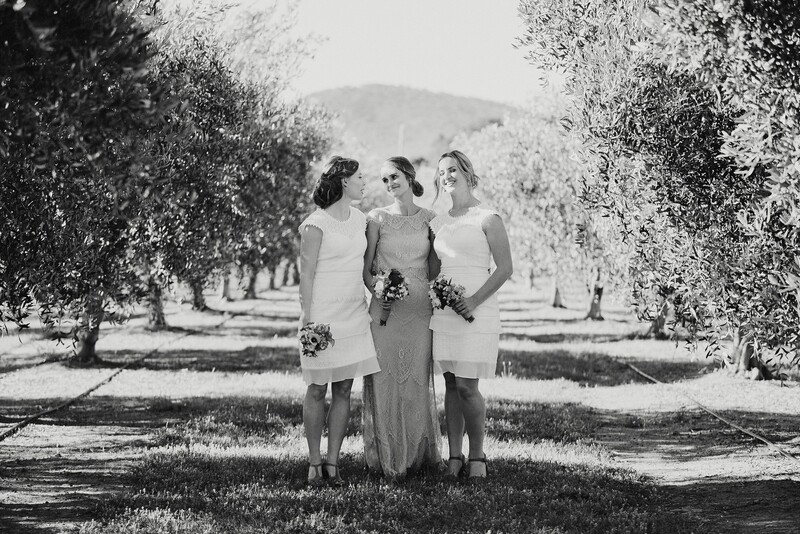 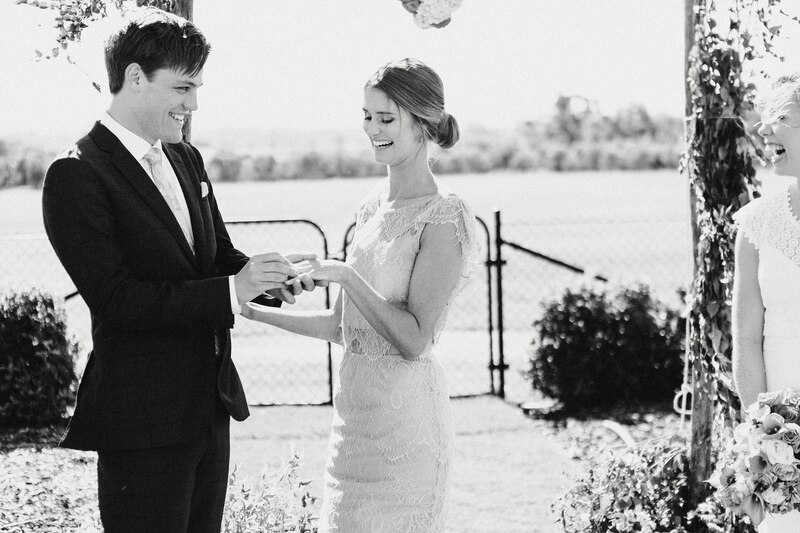 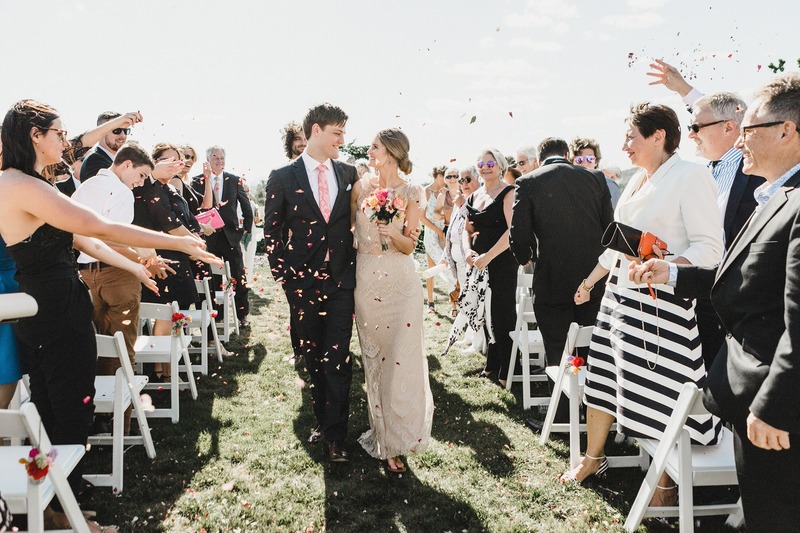 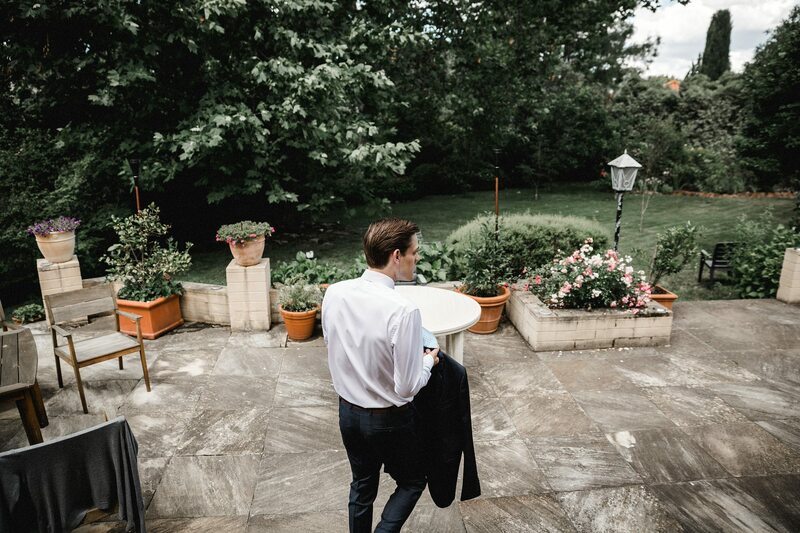 Hannah in sandals and a champagne coloured gown by Grace Loves Lace, with her arms interlinked with her parents, met Gabrielle in this blush tie and blue pocket square under an arbour flourishing with native plants and roses. 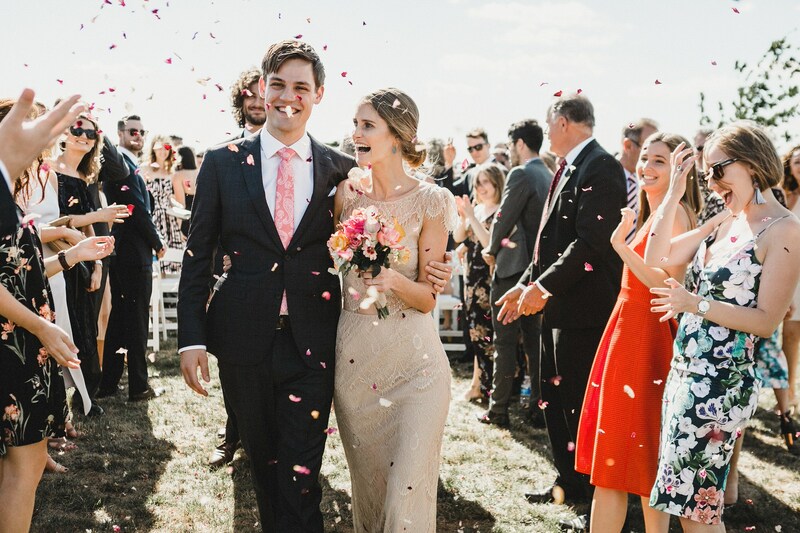 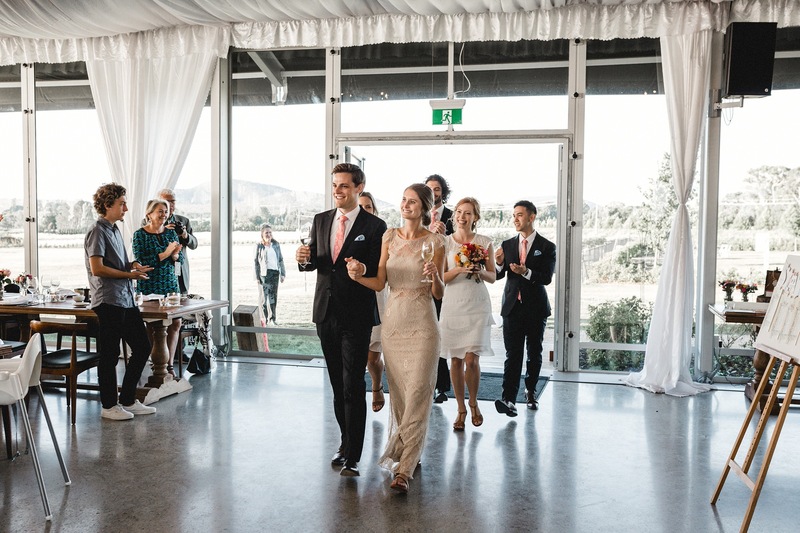 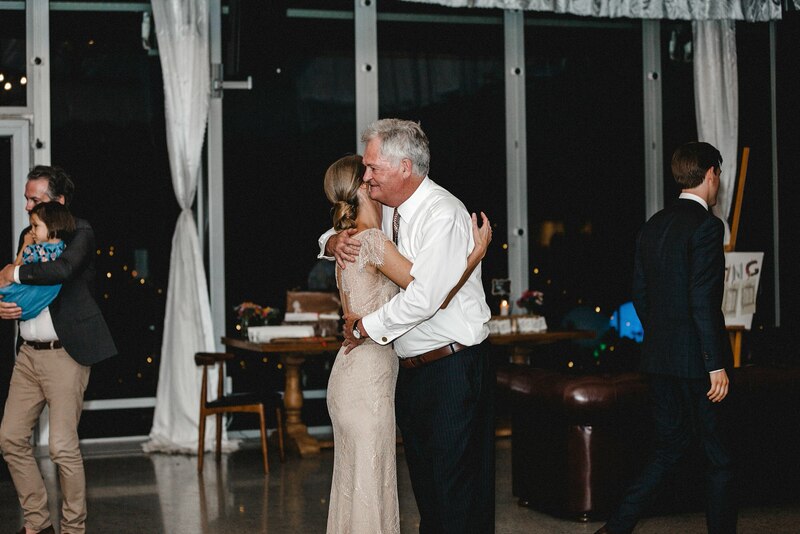 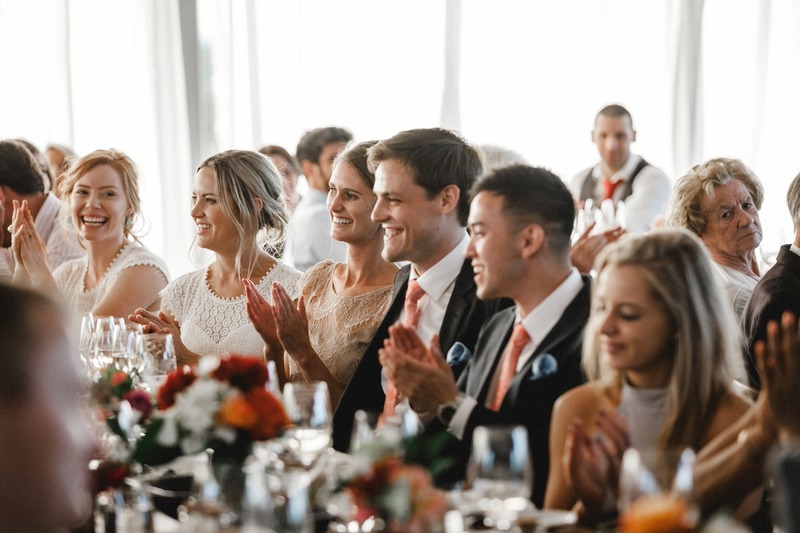 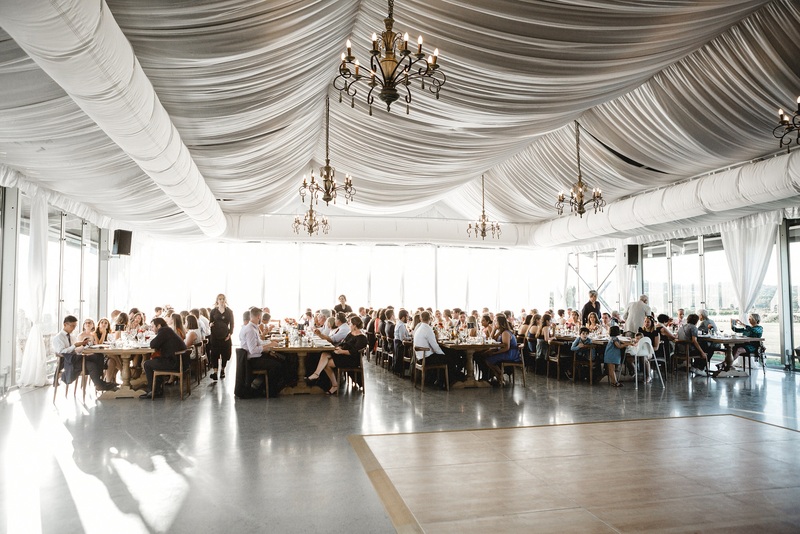 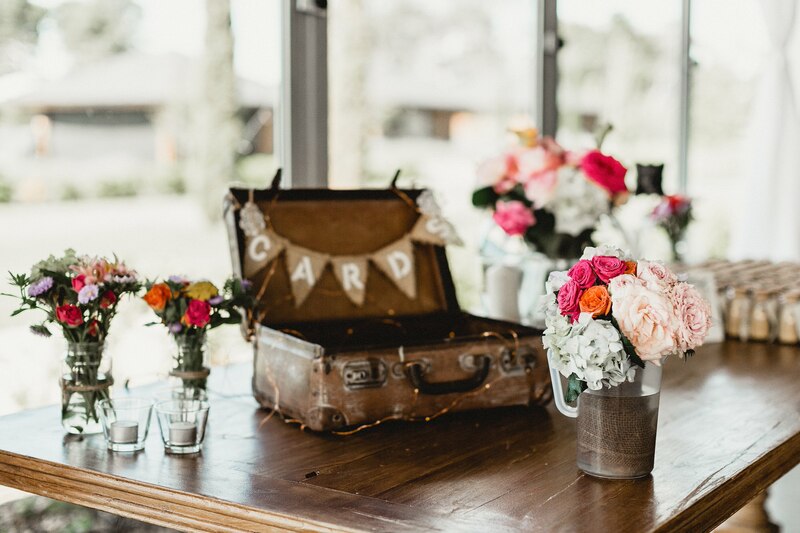 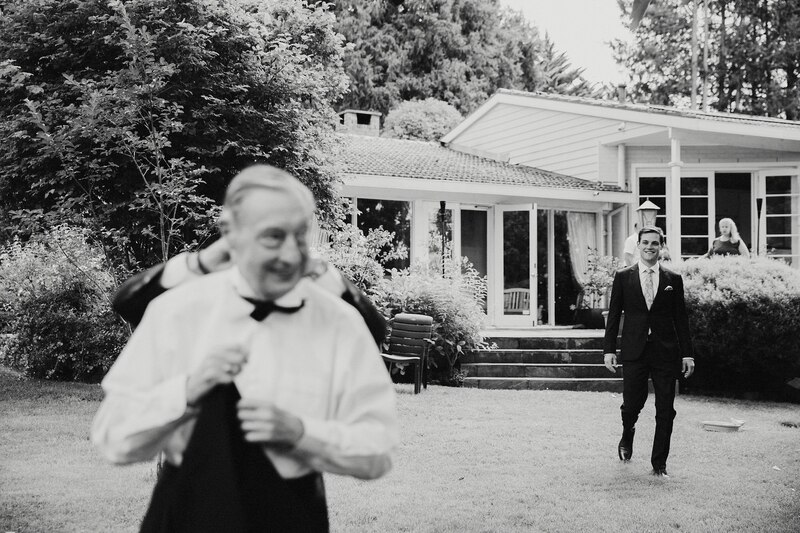 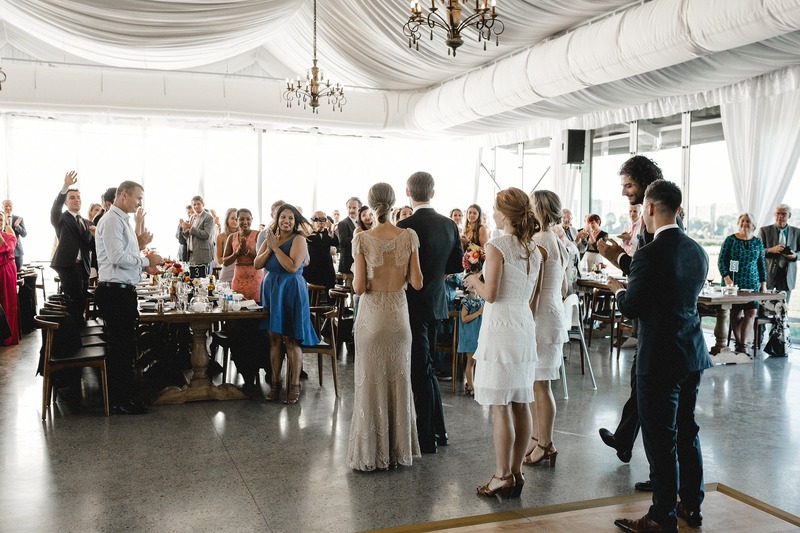 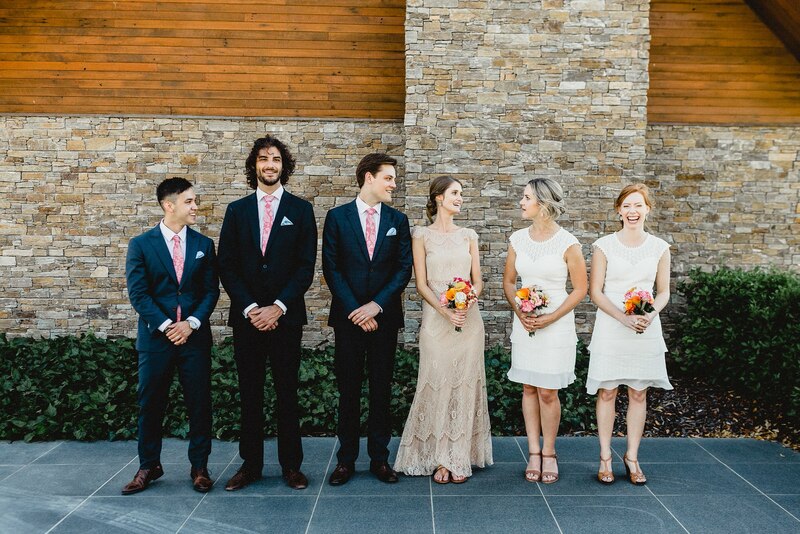 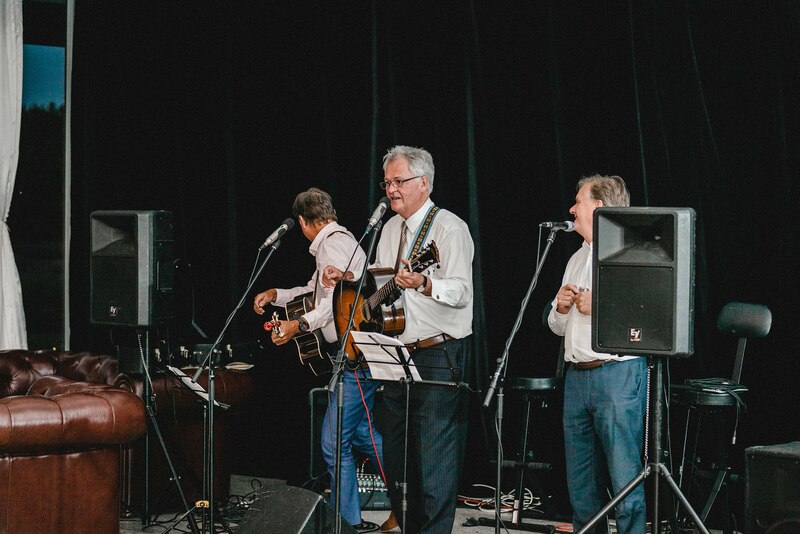 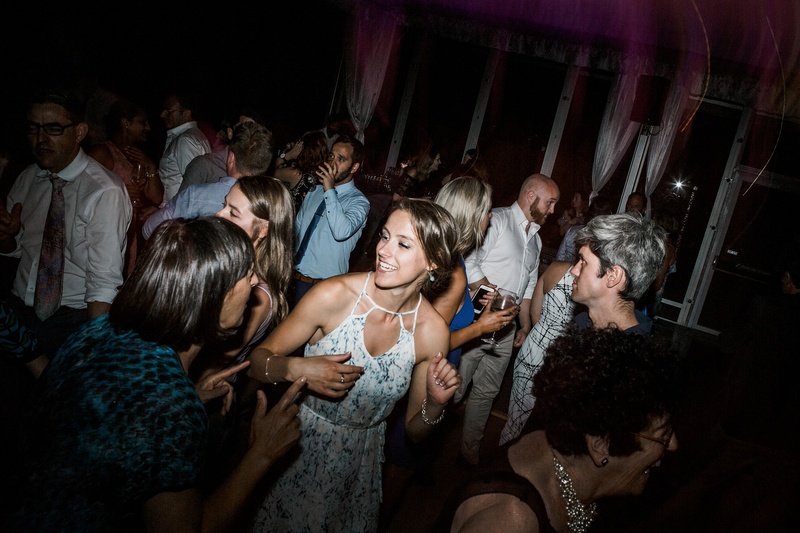 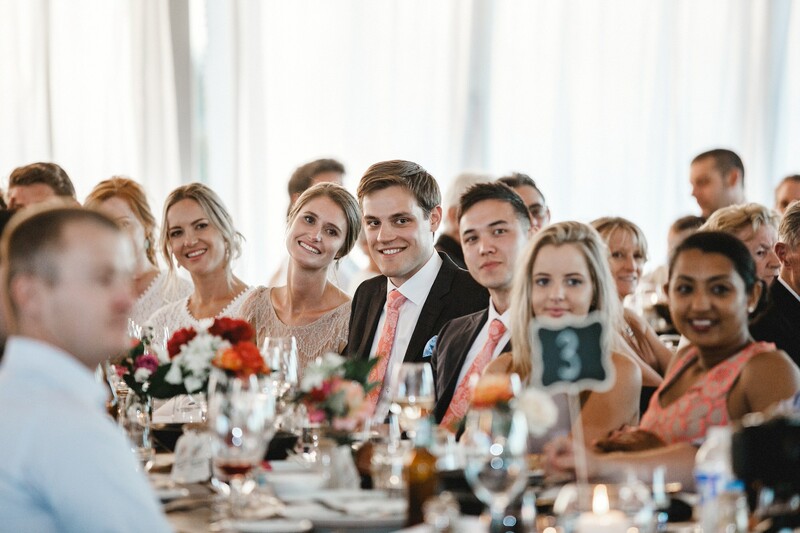 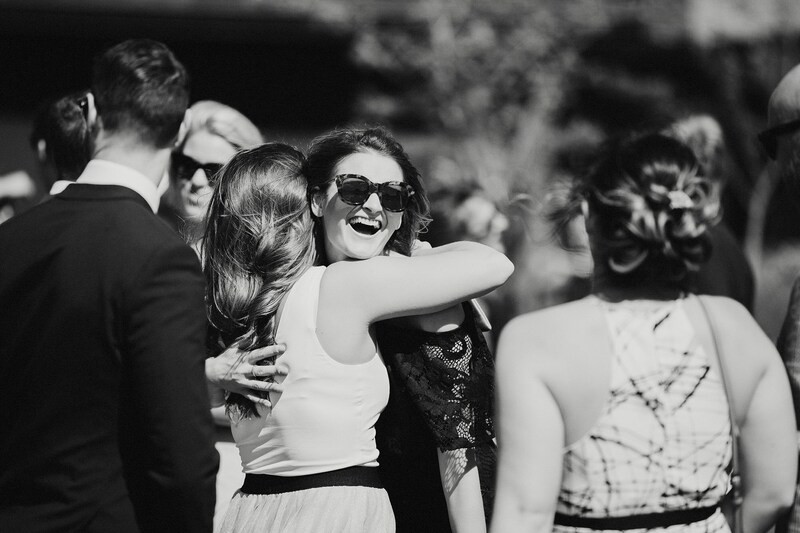 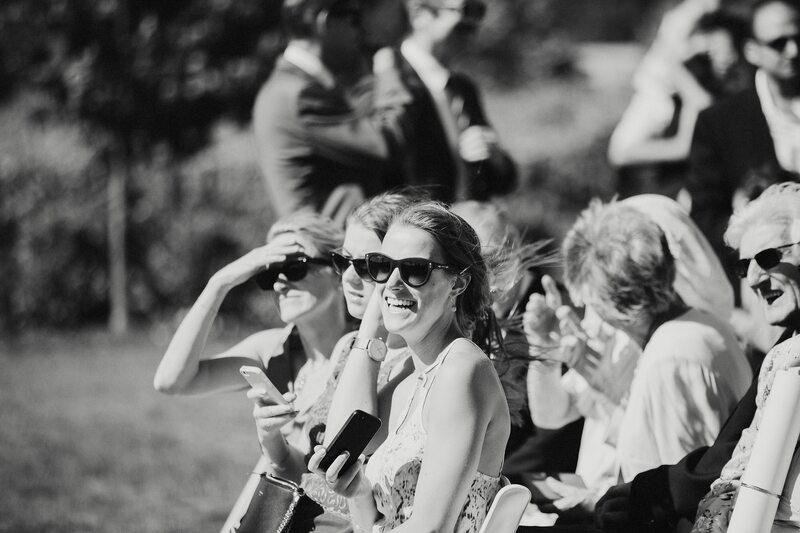 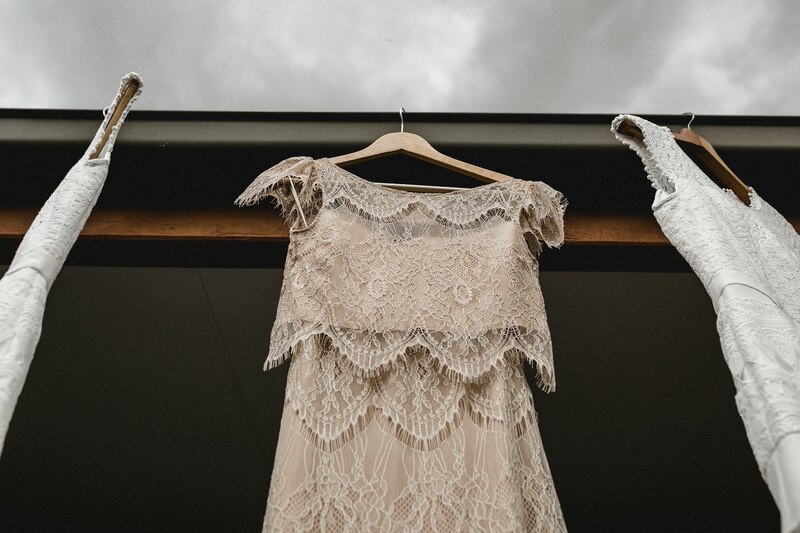 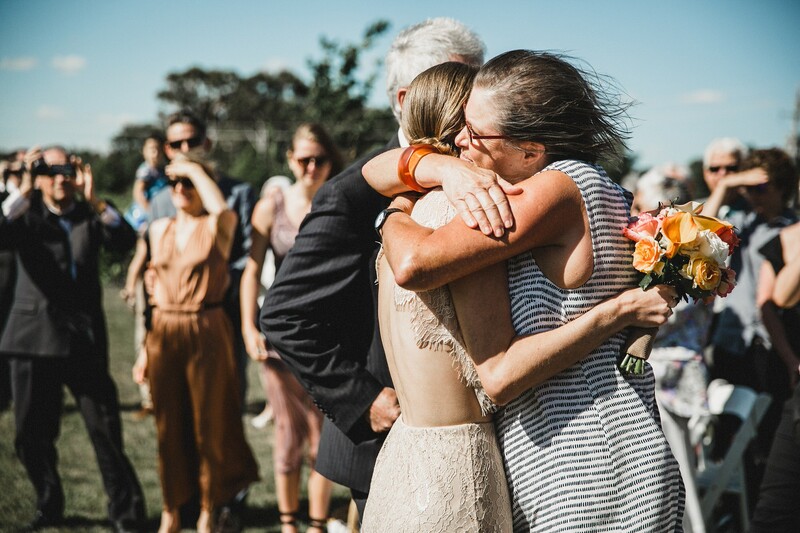 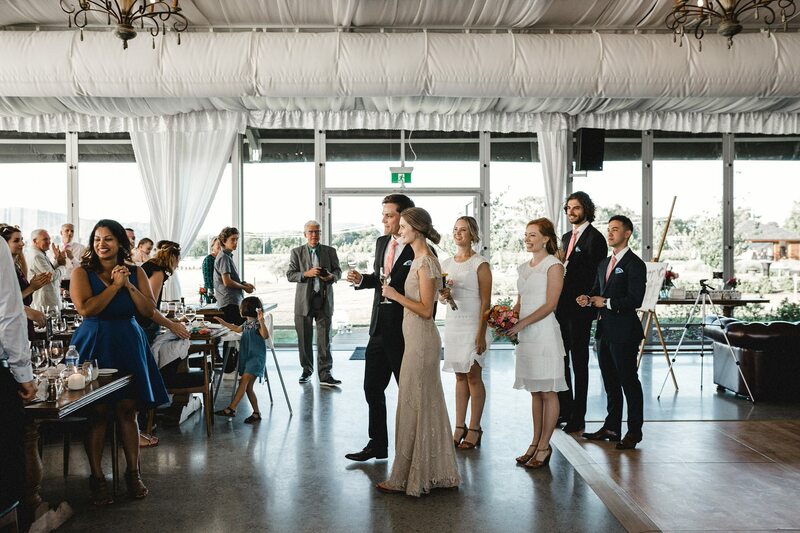 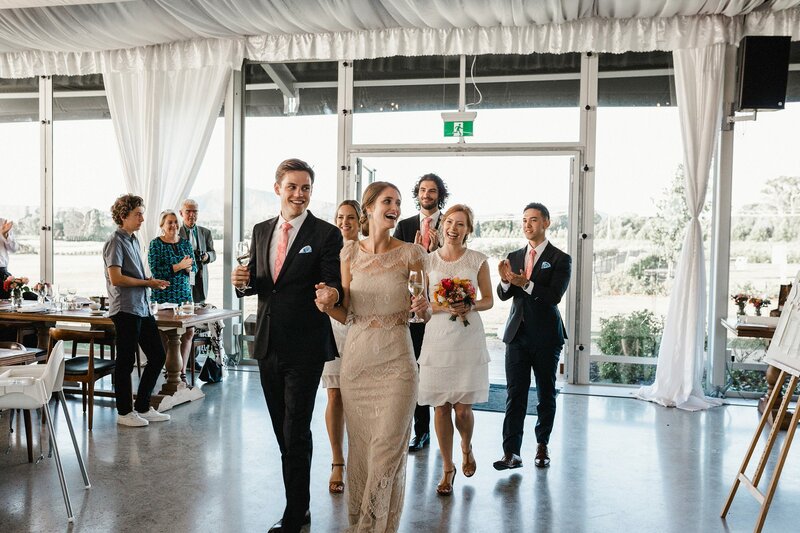 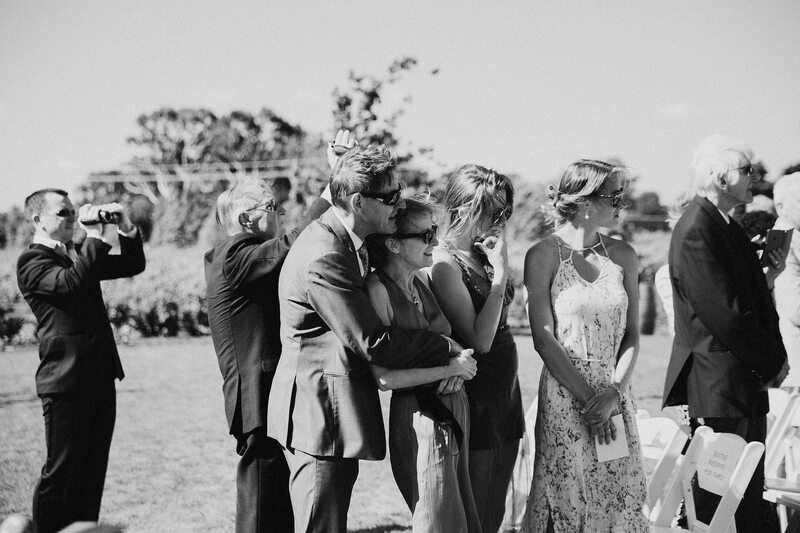 The focus of Hannah and Gabriel’s wedding was for their day to be fun and relaxed and just a celebration of love surrounded by family and friends, and it was just that. 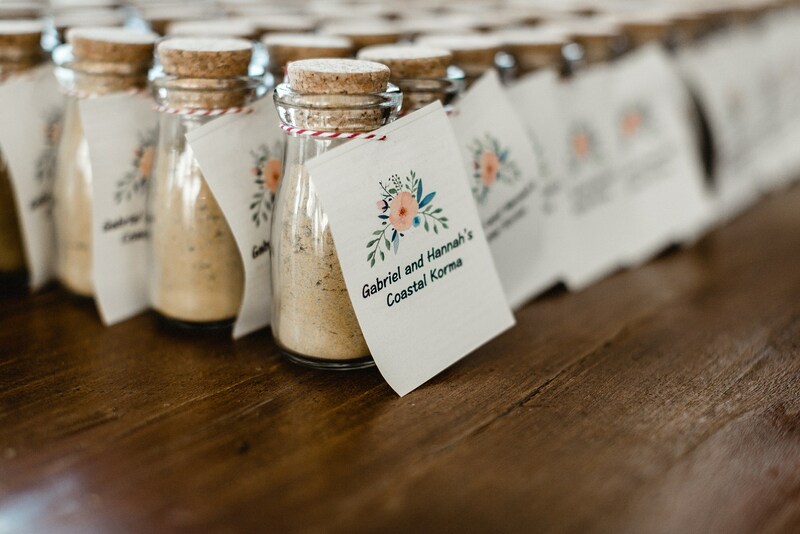 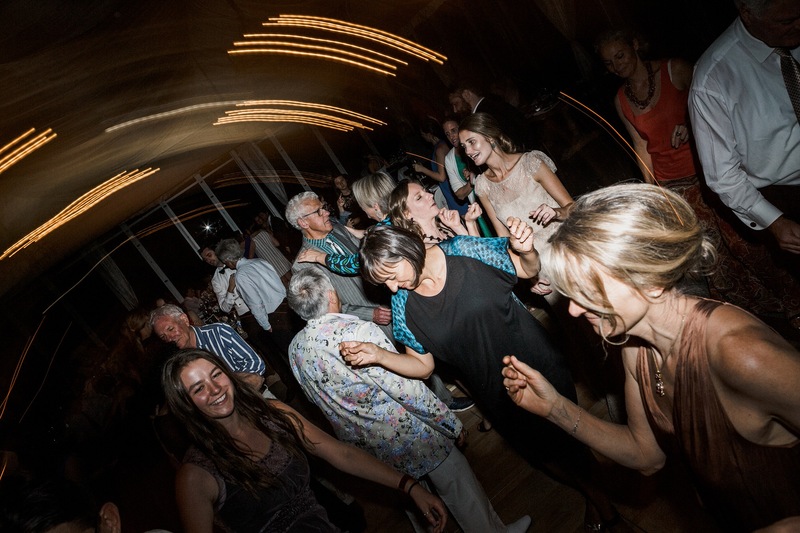 Gabriel’s French heritage was showcased through the choice of champagne and Hannah’s love of the beach was highlighted in the ‘coastal korma’ gift to guests. 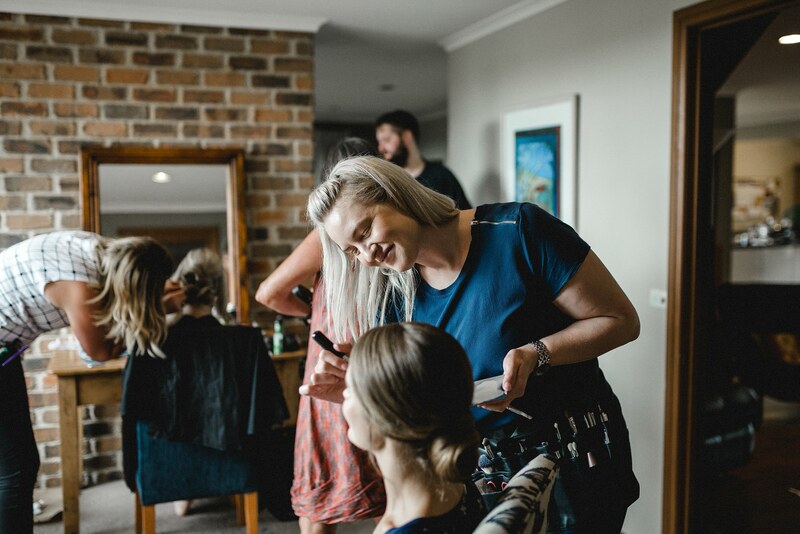 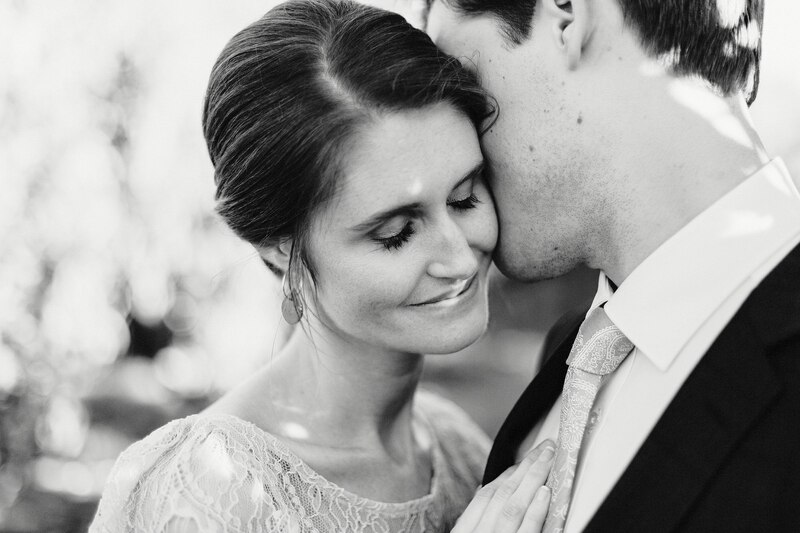 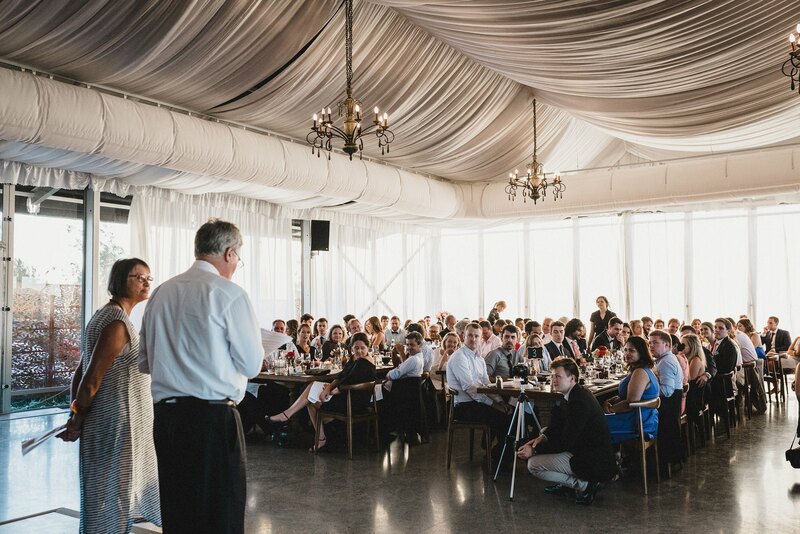 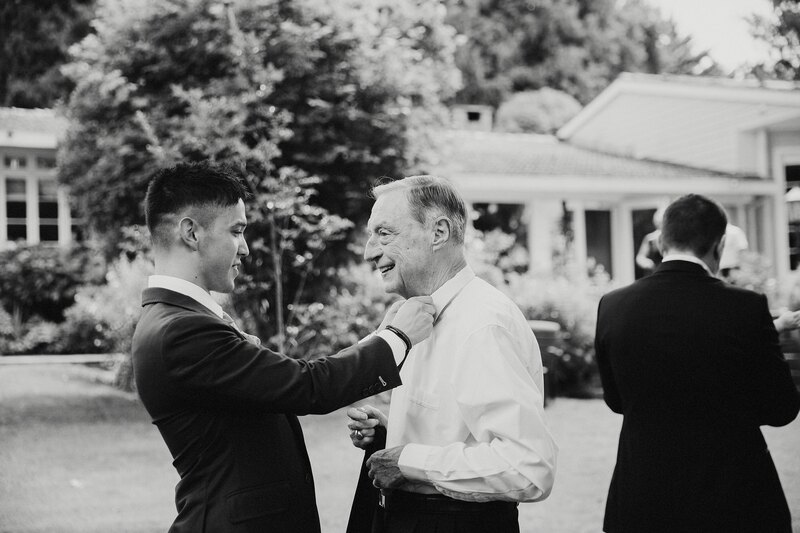 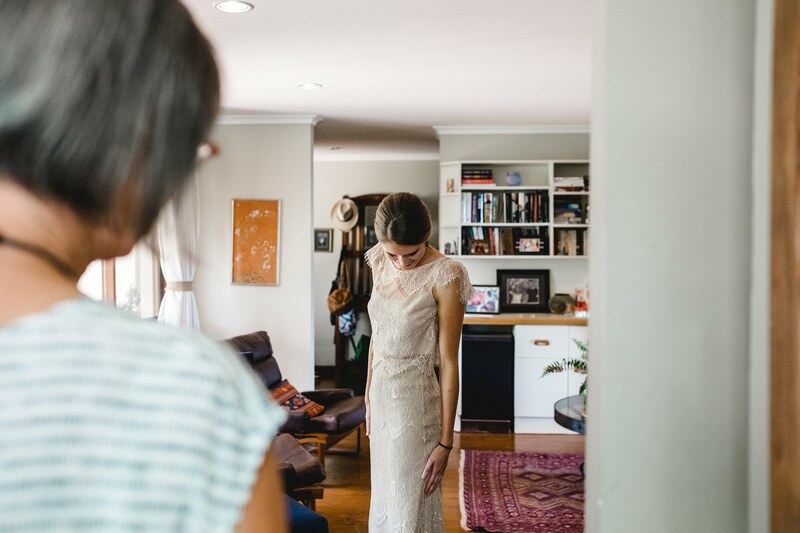 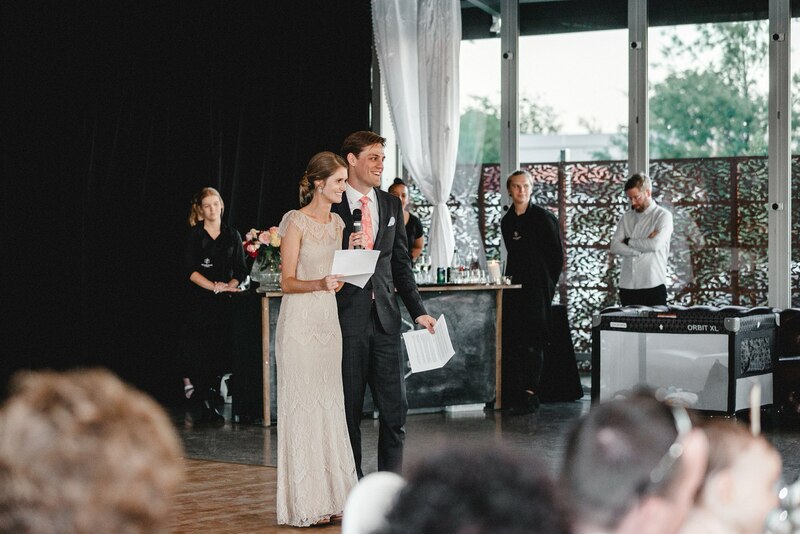 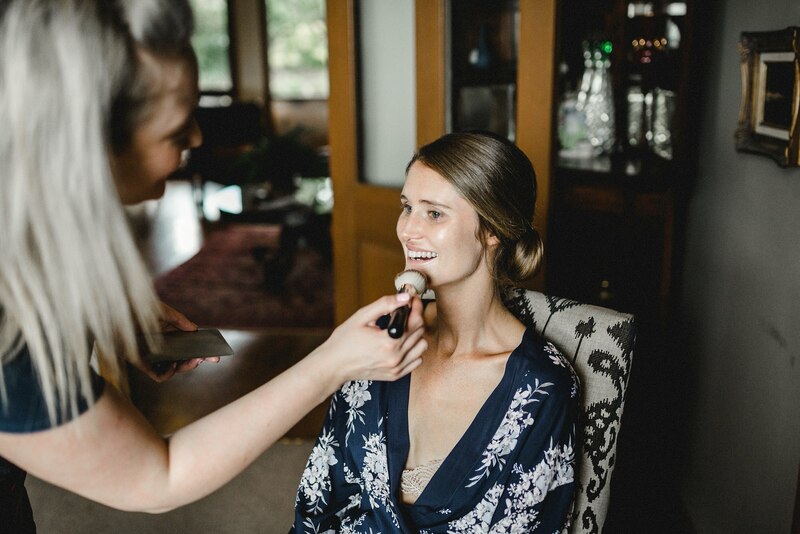 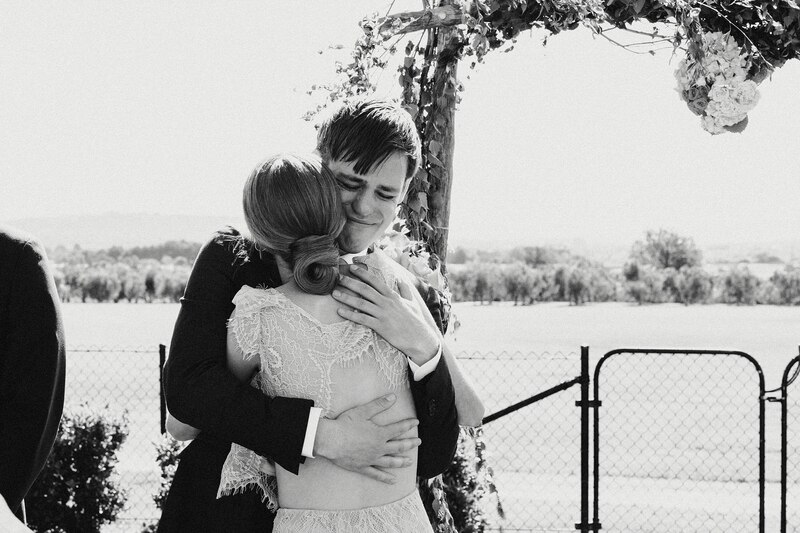 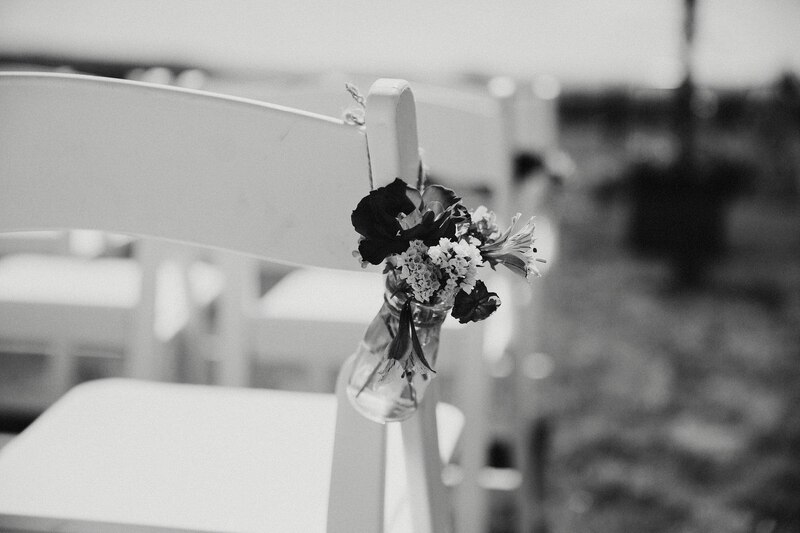 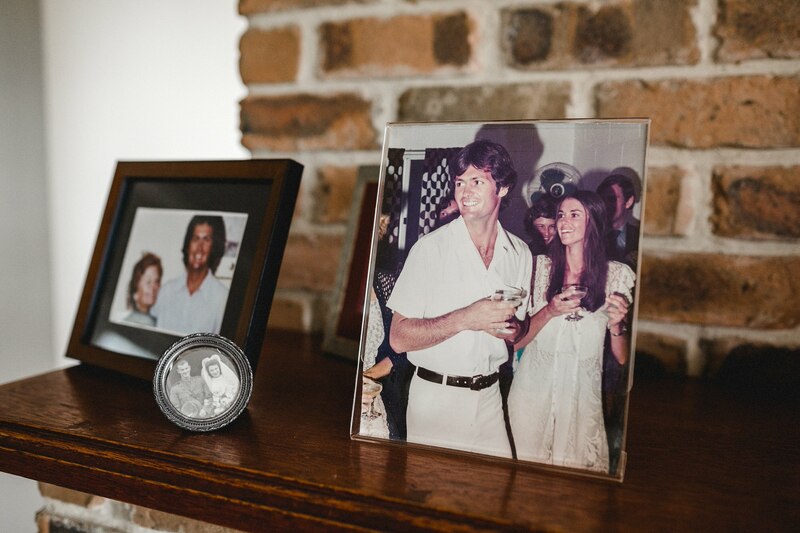 It was the personal touches made by Hannah and Gabriel that made their wedding day not just about their love for each other, but the love and appreciation they have for their family and friends. 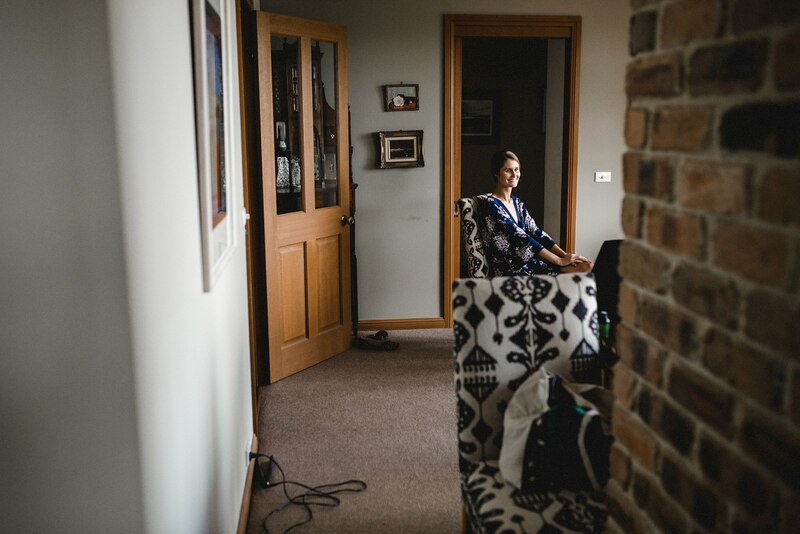 This is the 8th wedding I have shot at Pialligo Estate (since it opened in 2015 for weddings) and each time I visit this location I find more inspiration and new scenes to shoot. 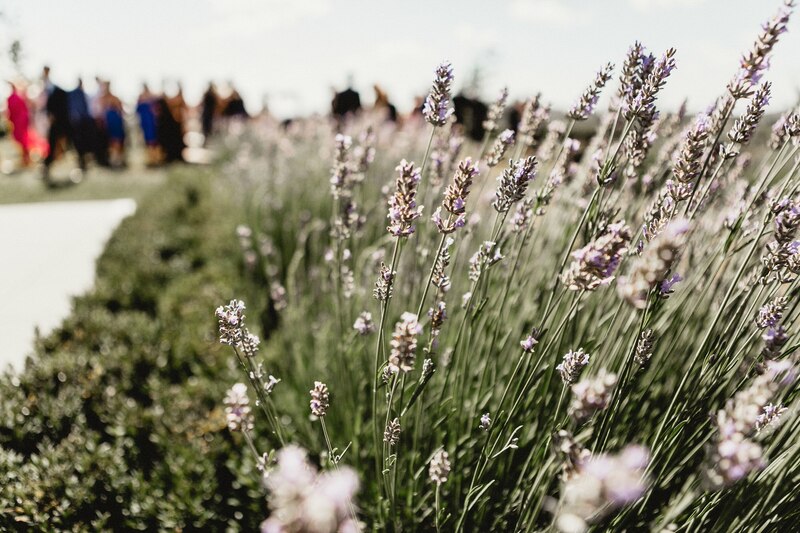 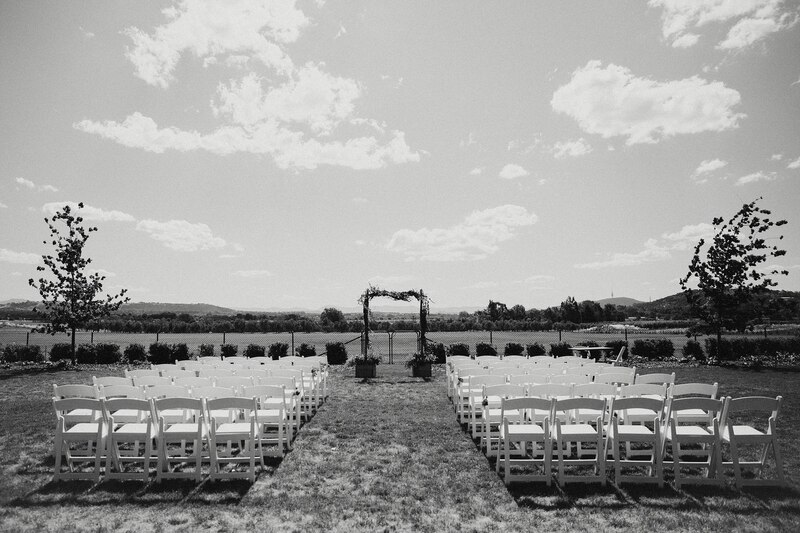 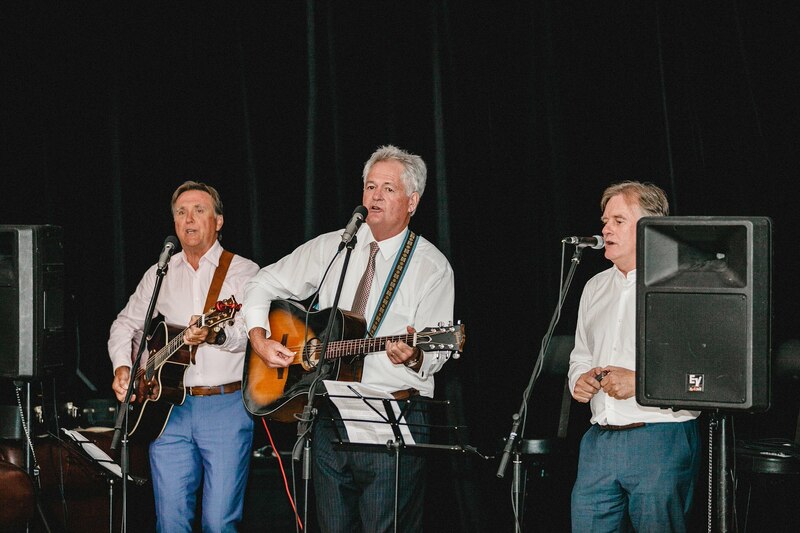 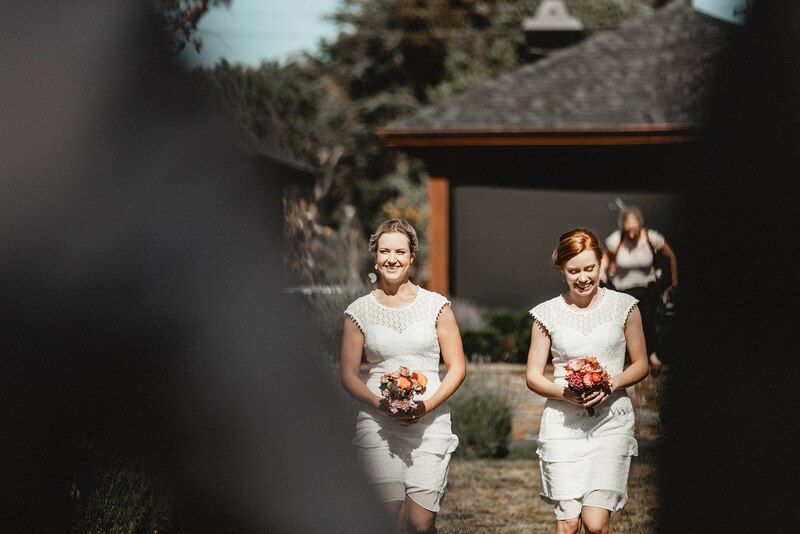 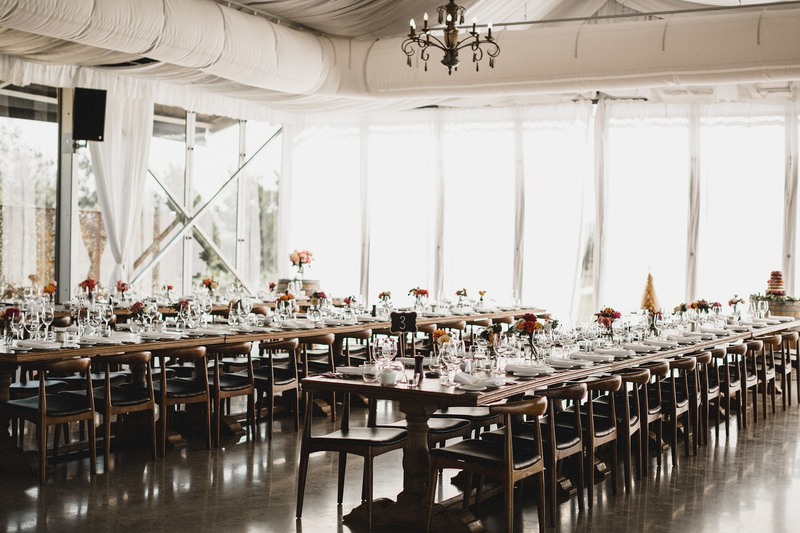 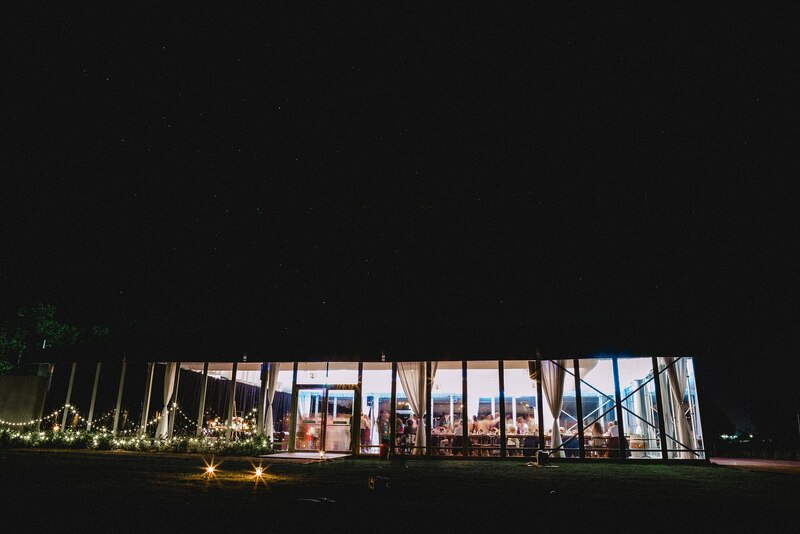 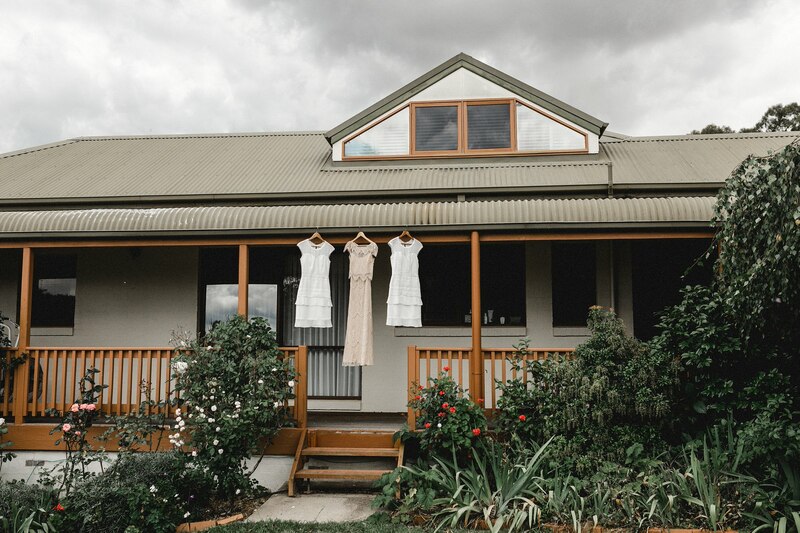 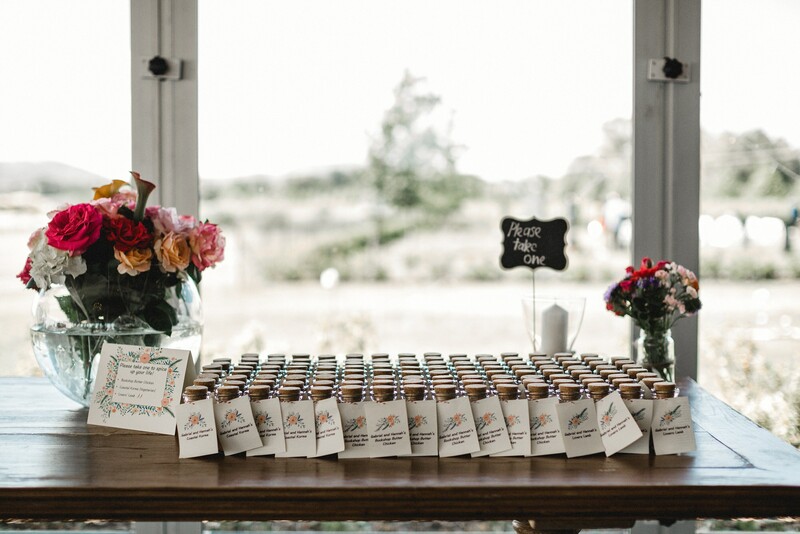 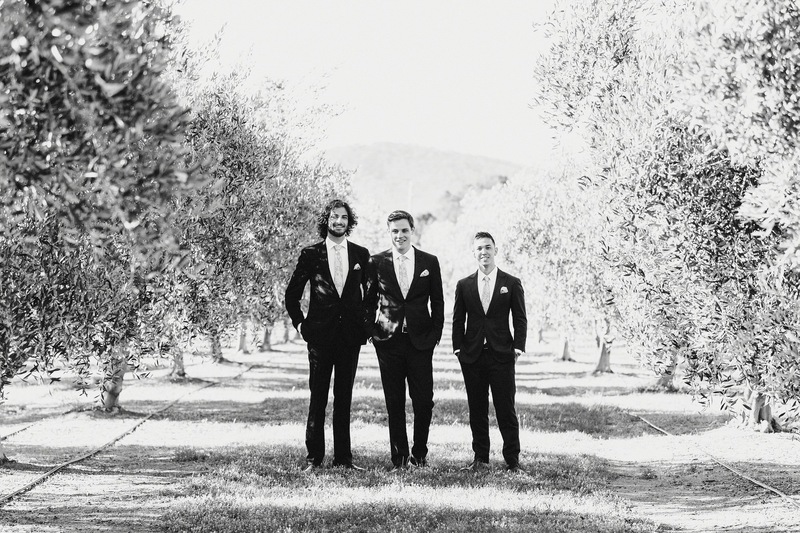 The ever-changing scenery and greenery makes Pialligo Estate a haven for country, rustic, chic style weddings. 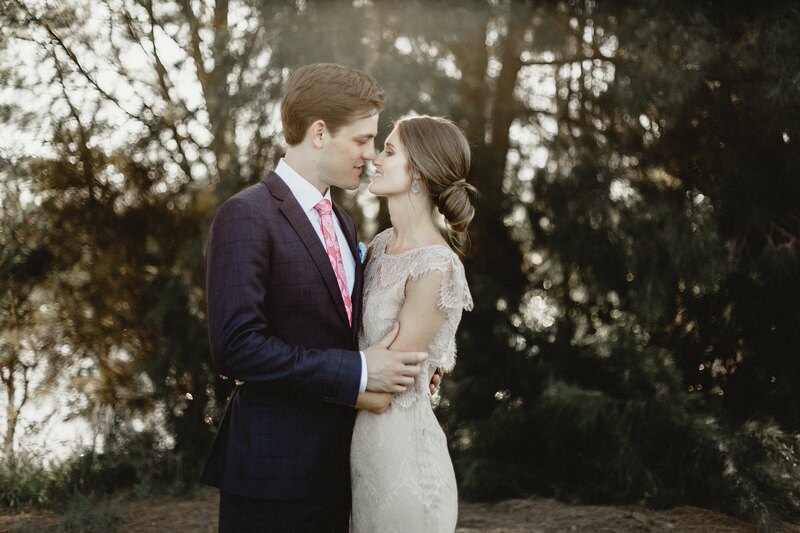 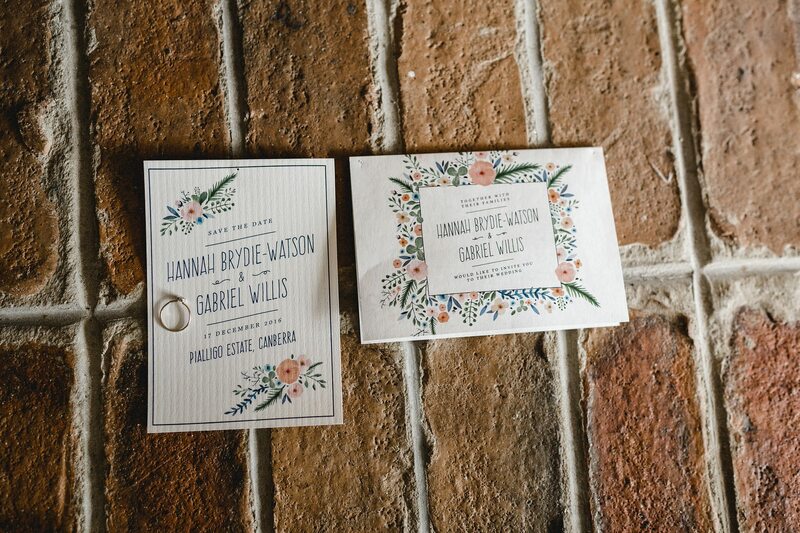 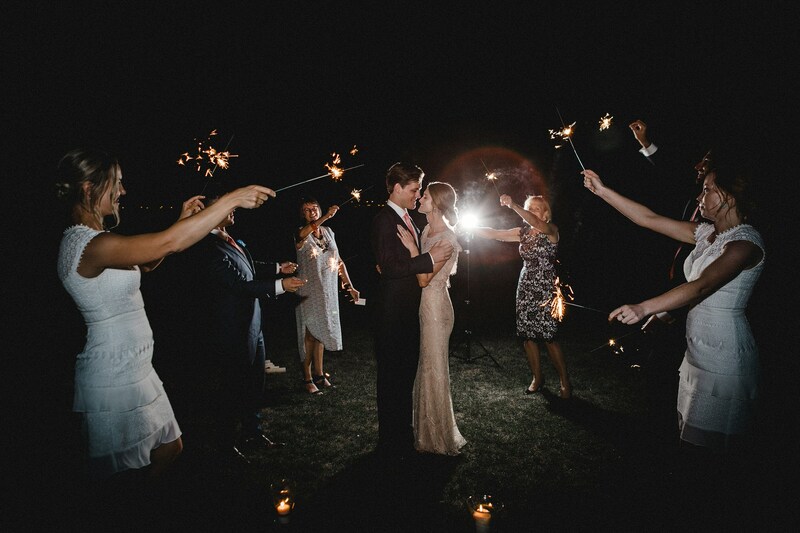 I love Hannah and Gabrielle’s story and it was so enjoyable to be a part of the chapter that features their wedding.